Researchers at the University of Edinburgh are looking at how toxic protein clumps are formed in dementia with Lewy bodies. Dementia with Lewy bodies (DLB) is caused by the build-up of a protein called alpha-synuclein into structures called Lewy bodies. Prof Ball will take on a PhD student to study how alpha-synuclein behaves in nerve cells that have been made in the laboratory. Specifically, they will explore whether a protein called CHIP, which regulates alpha synuclein clumping, could help to prevent alpha-synuclein from building up in nerve cells. The researchers will also develop tools to screen potential drugs that influence CHIP function, with the aim of preventing the formation of toxic Lewy bodies and protecting nerve cells. 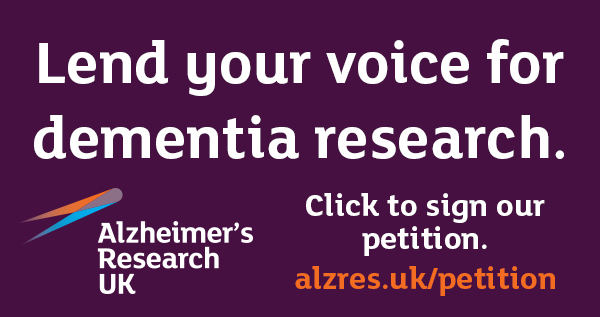 Dementia with Lewy bodies is a devastating disease affecting over 100,000 people in the UK. However, researchers don’t fully understand the biological chain of events that underlie DLB, and there is, as yet, no treatment that can stop or slow the spread of the disease through the brain. This project will increase our understanding of the molecular processes involved and how these might go wrong in DLB. Importantly, this will highlight new potential avenues for treatment research. The team will use innovative stem cell techniques to turn skin cells from someone with DLB into nerve cells in the laboratory. The researchers will use a range of molecular techniques to look at whether increasing, or decreasing the activity of the CHIP protein protects nerves cells from the build-up of harmful alpha-synuclein clumps. The team will also look at how CHIP and alpha-synuclein behave in nerve cells created from skin cells donated by the person’s unaffected daughter. They will use these results to help understand how CHIP function differs between damaged and healthy nerve cells. Prof Ball and her student will also create nerve cells that do not make any CHIP. The researchers will use these cells to understand how CHIP contributes to alpha-synuclein behaviour and Lewy body formation. Identifying how CHIP regulates alpha-synuclein will provide the researchers with an innovative way to screen potential drugs that could protect brain cells from damage in the disease. Dementia is one of the world’s greatest challenges. It steals lives and leaves millions heartbroken. But we can change the future. Your donation will help power research. Are some nerve cells more susceptible than other to damage in dementia with Lewy bodies?